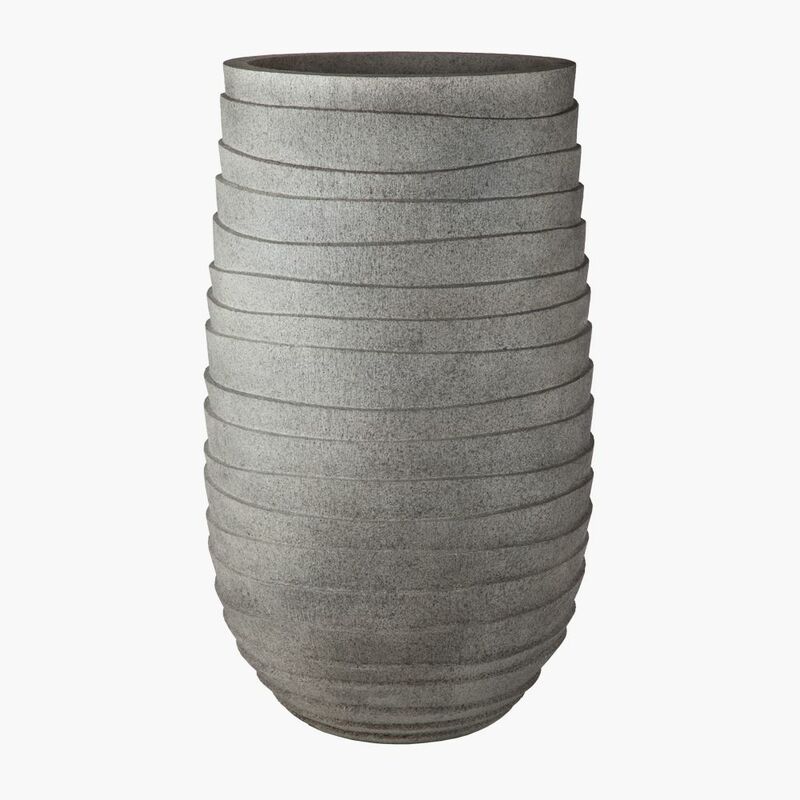 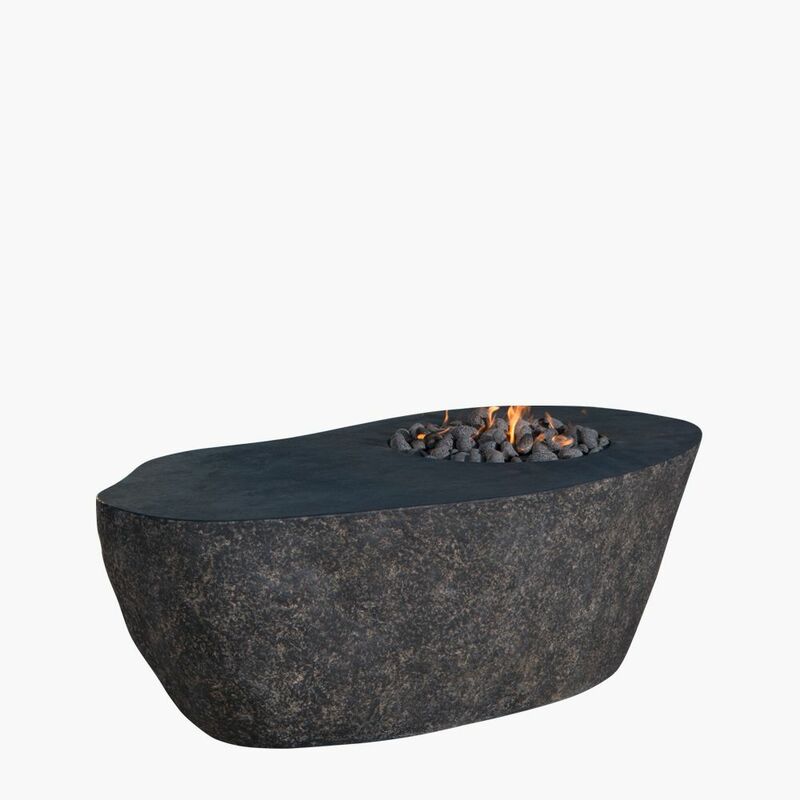 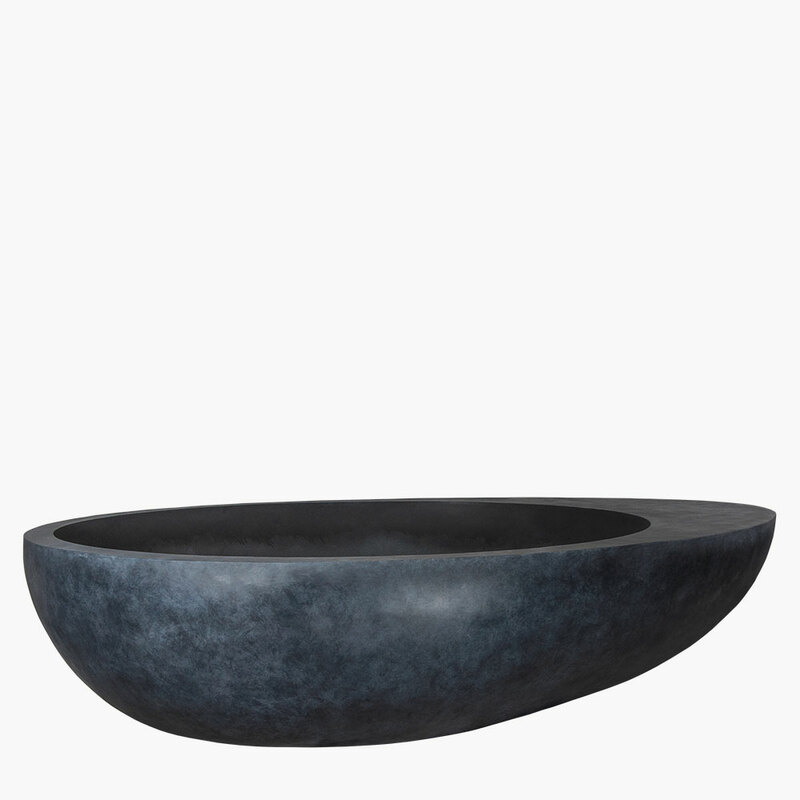 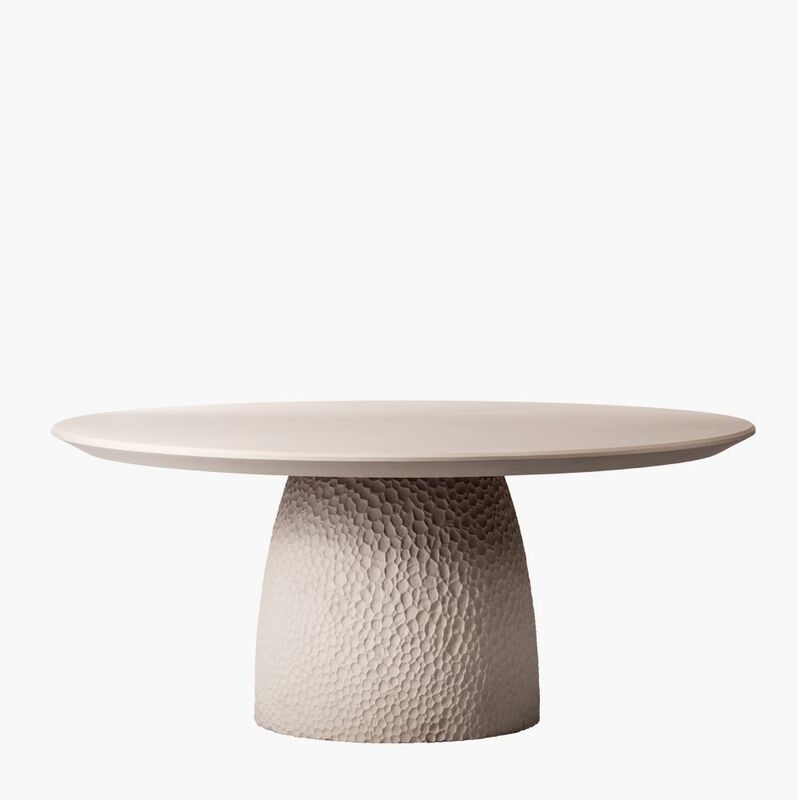 Ovo Modern Oval Stone Planter by Stone Yard, Inc. 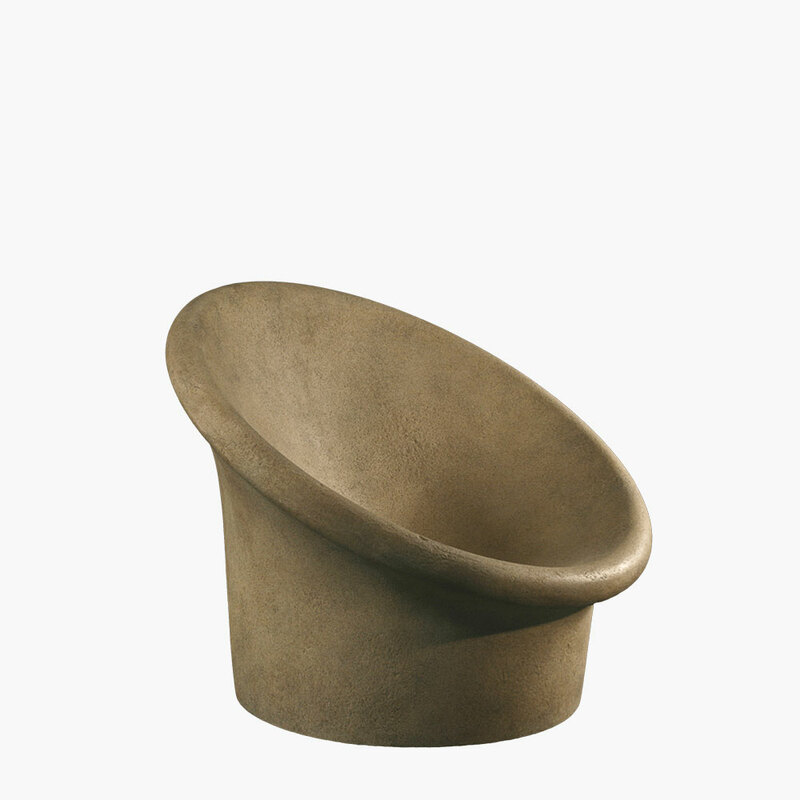 This low-profile, oval stone planter has been handcrafted by our design team of expert artisans and sculptors. 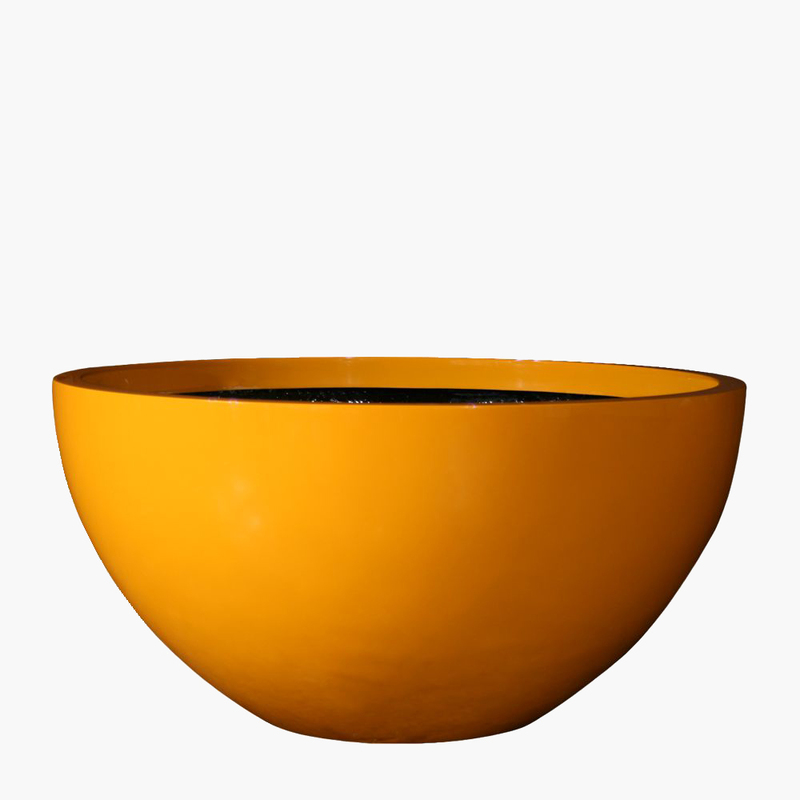 It has an unevenly traced silhouette culminating in a flat, half-moon surface that dips elegantly into a smooth, carved-out center. 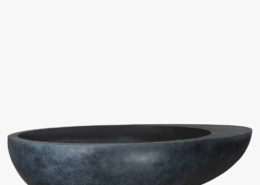 When filled with plants, the remaining surface can be used to rest more plants on its surface, or simply left bare in order to enjoy this sculptural planter’s unique shape. 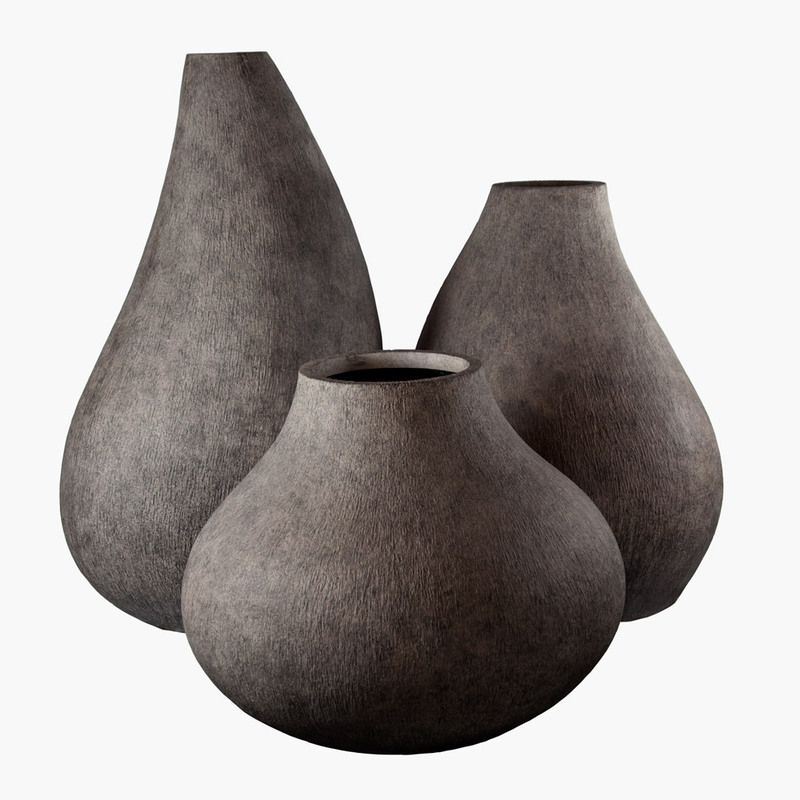 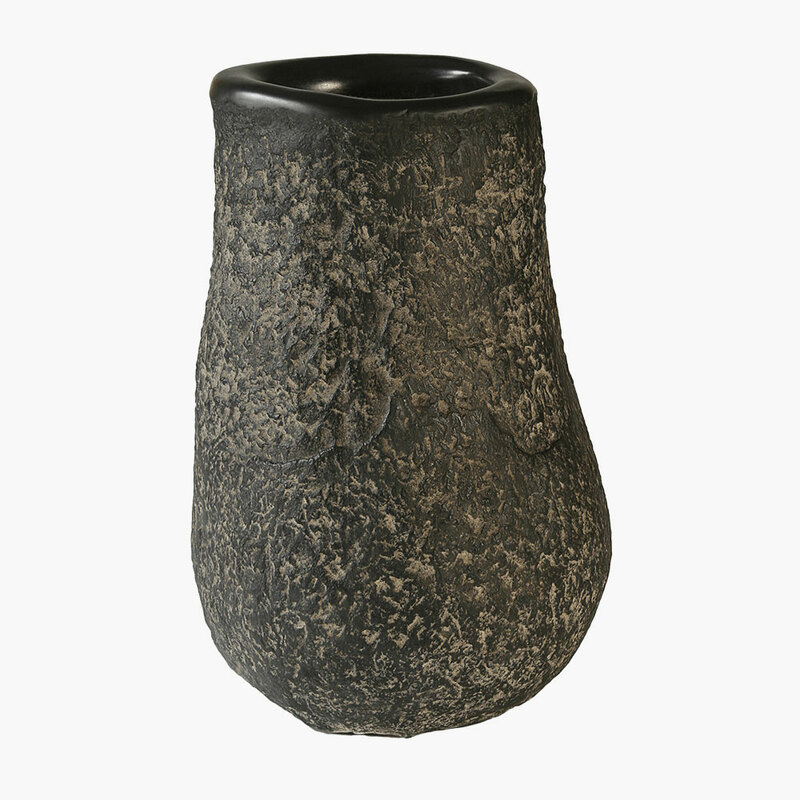 Placed indoors or out, and filled with a mix of contemporary plant shapes or left on its own as a stunning statement piece, the Ovo will attract attention due to its beautifully hand-carved shape and modern silhouette. 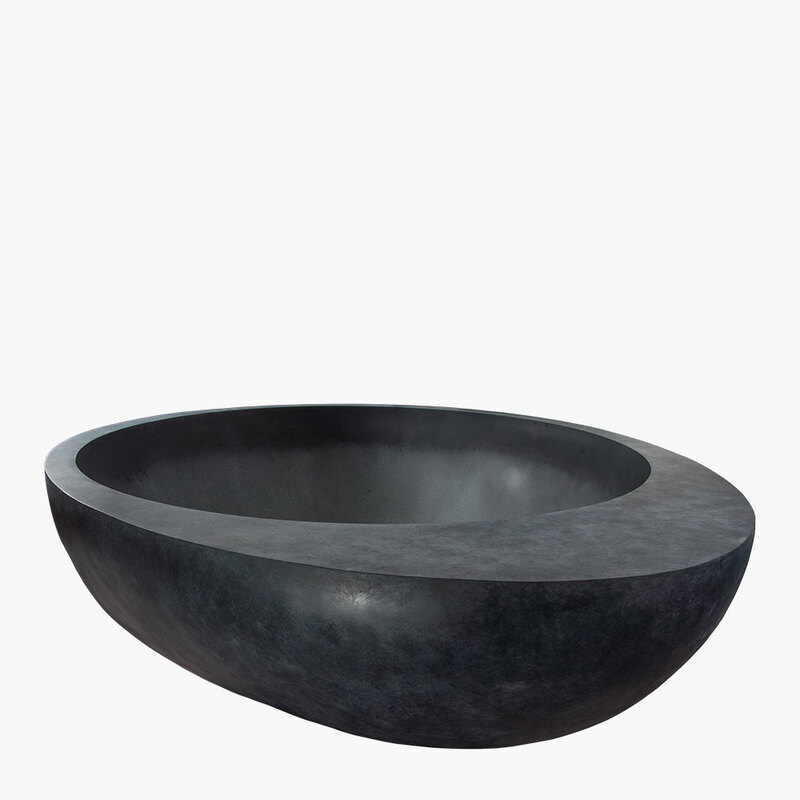 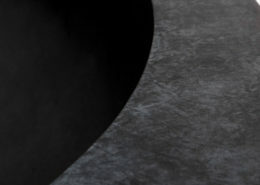 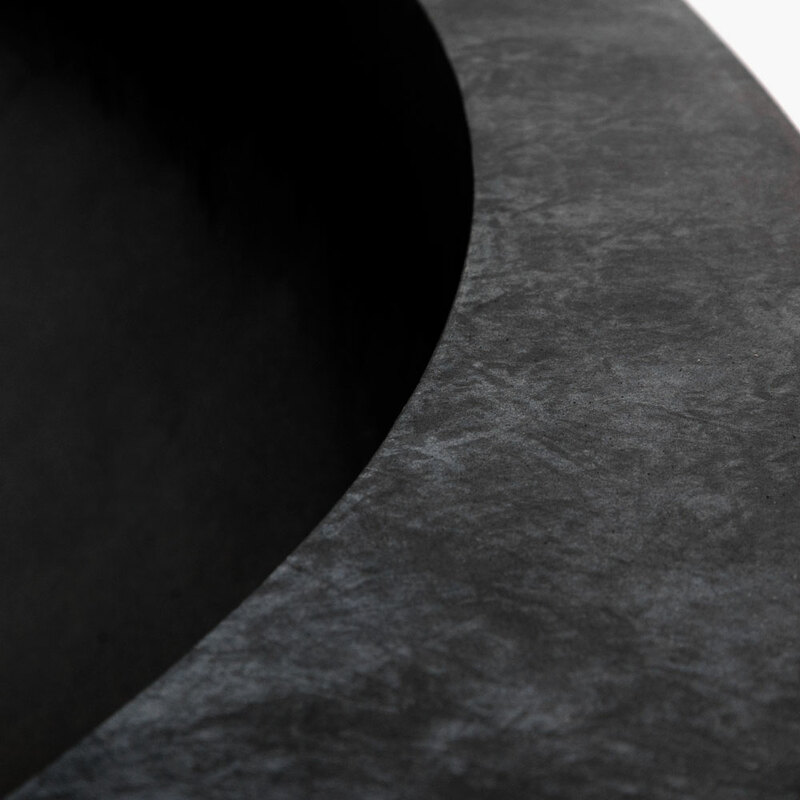 With no straight lines to speak of, this oblong oval planter with its smoothed surface introduces a sleek, curved shape into modern design environments. 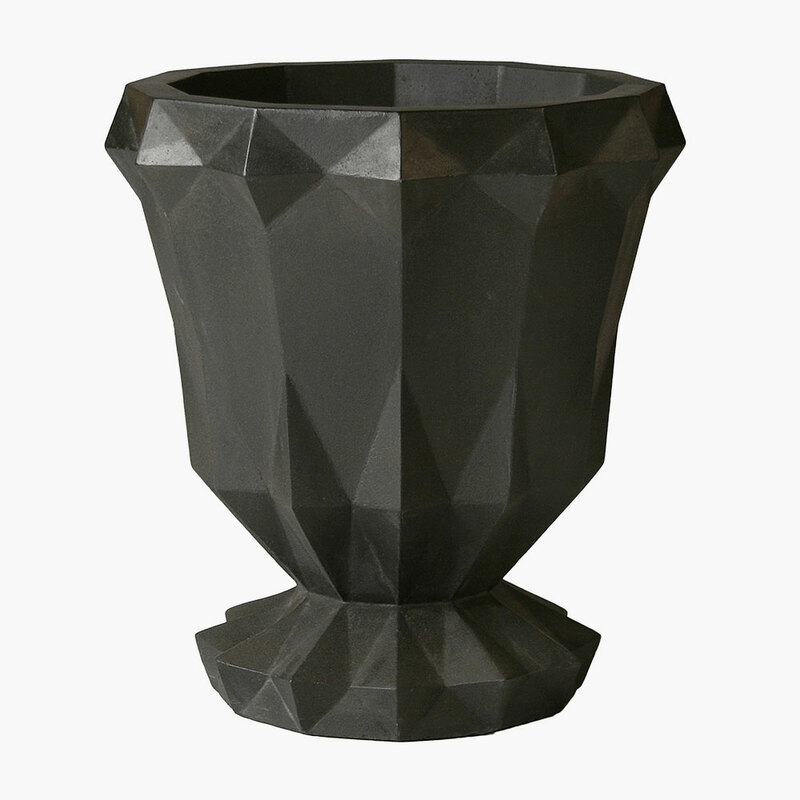 And the low profile of this modern stone planter makes it a perfect backdrop for succulents and other shallow-rooted plants that have both visual and textural appeal.